Kendall Budget used car center is pleased to offer this 2005 Honda Accord. This vehicle is loaded with great features, plus it comes with the CARFAX BuyBack Guarantee. The 2005 Honda offers compelling fuel-efficiency along with great value. You will no longer feel the need to repeatedly fill up this Honda Accord Sdn EX-L's gas tank, in part because of it's superb EPA rating. There is no reason why you shouldn't buy this Honda Accord Sdn EX-L. It is incomparable for the price and quality. A truly breathtaking example of pure vehicle design achievement...this is the vehicle of your dreams! Located next to the foot bridge on Good Pasture Island Road, come see us at Kendall Budget Used Car Center. Kendall Budget used car center is pleased to offer this 1-Owner 2001 Lexus RX300 How to protect your purchase? CARFAX BuyBack Guarantee got you covered. Perfect for the on-the-go family, this Lexus RX 300 is an SUV everyone will love. With exceptional mileage, options and power, you'll insist on driving it on all your outings. There are many vehicles on the market but if you are looking for a vehicle that will perform as good as it looks then this Lexus RX 300 is the one! Look no further, you have found exactly what you've been looking for. Located next to the foot bridge on Good Pasture Island Road, come see us at Kendall Budget Used Car Center. Kendall Toyota used car center is pleased to offer This 2004 Ford Taurus comes with a CARFAX Buyback Guarantee, which means you can buy with certainty. One of the best things about this Ford Taurus is that it has low, low mileage. It's ready for you to truly break it in. Look no further, you have found exactly what you've been looking for. Driven by many, but adored by more, the Ford Taurus SES is a perfect addition to any home. Located next to the foot bridge on Good Pasture Island Road, come see us at Kendall Toyota Used Car Center. Kendall Budget used car center is pleased to offer this 2009 Chevy Malibu. This wonderfully fuel-efficient vehicle offers a supple ride, quick acceleration and superior styling without sacrificing MPGs. Just what you've been looking for. With quality in mind, this vehicle is the perfect addition to take home. The look is unmistakably Chevrolet, the smooth contours and cutting-edge technology of this Chevrolet Malibu LS w/1LS will definitely turn heads. More information about the 2009 Chevrolet Malibu: Chevrolet's 2009 Malibu has established itself as stylish, comfortable, safe, and reliable transportation for a family that's concerned about low initial cost and low running costs. With plenty of standard convenience and safety features, crisp handling, and an array of powertrain options from fuel-sipping to pedal-mashing, the Malibu puts plenty of excitement into the Chevrolet lineup. Strengths of this model include affordable hybrid model, fuel efficiency in the 4-cylinder and hybrid., comfortable ride, Stylish design, and good power from V6 Located next to the foot bridge on Good Pasture Island Road, come see us at Kendall Budget Used Car Center. Kendall Budget used car center is pleased to offer CARFAX BuyBack Guarantee is reassurance that any major issues with this vehicle will show on CARFAX report. The Scion xA is economically and environmentally smart. Scion clearly delivers on its promise to provide a fuel-efficient vehicle that has the great qualities you need in a vehicle. Low, low mileage coupled with an exacting maintenance program make this vehicle a rare find. This is the one. Just what you've been looking for. Located next to the foot bridge on Good Pasture Island Road, come see us at Kendall Budget Used Car Center. Kendall Budget used car center is pleased to offer When you purchase a vehicle with the CARFAX Buyback Guarantee, you're getting what you paid for. You could spend more on fuel each month than on your vehicle payments, so why not consider one with exceptional fuel economy like this 2007 Honda Accord Sdn. Driven by many, but adored by more, the Honda Accord Sdn LX SE is a perfect addition to any home. More information about the 2007 Honda Accord Sdn: The 2007 Honda Accord makes a viable option for those in search of a modest family sedan or a well-appointed cruiser. Accord's 2.4L engine produces more horsepower and better fuel economy than the Ford Fusion or Chevy Malibu, neither of which are slated to get a hybrid drivetrain until 2008. The Accord's V6 adds traction control and four-wheel disc ABS, keeping safety on par with performance. Strengths of this model include Honda reliability, Hybrid available, Standard ABS Located next to the foot bridge on Good Pasture Island Road, come see us at Kendall Budget Used Car Center. Kendall Budget used car center is pleased to offer this 2001 Ford Ranger Edge Drive home in your new pre-owned vehicle with the knowledge you're fully backed by the CARFAX Buyback Guarantee. It's not a misprint. And the odometer isn't broken. This is a very low mileage Ford Ranger. A rare find these days. There is no reason why you shouldn't buy this Ford Ranger Edge. It is incomparable for the price and quality. The quintessential Ford -- This Ford Ranger Edge speaks volumes about its owner, about uncompromising individuality, a passion for driving and standards far above the ordinary. Located next to the foot bridge on Good Pasture Island Road, come see us at Kendall Budget Used Car Center. Kendall Budget used car center is pleased to offer Drive home in your new pre-owned vehicle with the knowledge you're fully backed by the CARFAX Buyback Guarantee. You could spend more on fuel each month than on your vehicle payments, so why not consider one with exceptional fuel economy like this 2008 Nissan Sentra. This low mileage Nissan Sentra has barely been touched. It's the next best thing to buying new. More information about the 2008 Nissan Sentra: The 2008 Nissan Sentra stands out for its interior appointments, space-efficient design, and frugal performance of its I4 engines and CVT automatic, while the sporty SE-R Spec V sets a new standard for interior appointments among compact sedan performance models. The base 2.0 model represents a strong value with quite a few standard features for less than $16,000, while the SE-R Spec V performance model offers 200 horsepower and has a base price slightly over $20,000. Strengths of this model include stingy fuel economy, competitive pricing., and Upscale, roomy interior Located next to the foot bridge on Good Pasture Island Road, come see us at Kendall Budget Used Car Center. Kendall Budget used car center is pleased to offer this 2000 Chevy Silverado 1500 WT. This vehicle is loaded with great features, plus it comes with the CARFAX BuyBack Guarantee. This Chevrolet truck is fully capable to handle a heavy load of work and fun. Take home this Chevrolet Silverado 1500 , and you will have the power of 4WD. It's a great feature when you need to drive over tricky terrain or through inclement weather. It's not often you find just the vehicle you are looking for AND with low mileage. This is your chance to take home a gently used and barely driven Chevrolet Silverado 1500. Located next to the foot bridge on Good Pasture Island Road, come see us at Kendall Budget Used Car Center. Kendall Budget used car center is pleased to offer this 2007 Toyota Matrix XR This vehicle is loaded with great features, plus it comes with the CARFAX BuyBack Guarantee. This 2007 Toyota Matrix has great acceleration and wonderful styling without sacrificing exceptional fuel economy. The incredibly low mileage and painstaking upkeep on this Toyota Matrix makes it a once-in-a-lifetime deal that won't last long! Call us today to reserve your test drive! More information about the 2007 Toyota Matrix: The 2007 Toyota Matrix, a tall hatchback based on the Corolla sedan, offers impressive cargo versatility, sporty handling and maneuverability, and the fuel efficiency of a small car. Its affordable price, good resale value, and the Corolla's long-established reputation for reliability and durability make it all the more attractive. This model sets itself apart with roomy interior, affordability, Fuel efficiency, and maneuverability. Located next to the foot bridge on Good Pasture Island Road, come see us at Kendall Budget Used Car Center. Kendall Budget used car center is pleased to offer this 2003 GMC Yukon SUV. Drive home in your new pre-owned vehicle with the knowledge you're fully backed by the CARFAX Buyback Guarantee. This SUV gives you versatility, style and comfort all in one vehicle. At home in the country and in the city, this 2003 4WD GMC Yukon SLE has been wonderfully refined to handle any occasion. Smooth steering, superior acceleration and a supple ride are just a few of its qualities. You can tell this 2003 GMC Yukon has been pampered by the fact that it has less than 175,921mi and appears with a showroom shine. Located next to the foot bridge on Good Pasture Island Road, come see us at Kendall Budget Used Car Center. Kendall Toyota used car center is pleased to offer Only the CARFAX Buyback Guarantee can offer you the comfort of knowing you made the right purchase. You could spend more on fuel each month than on your vehicle payments, so why not consider one with exceptional fuel economy like this 2008 Honda Civic Sdn. You could keep looking, but why? You've found the perfect vehicle right here. More information about the 2008 Honda Civic Sdn: Honda has built a longstanding reputation with the Civic, positioning it as one of the sportiest and most fun-to-drive small cars. The 2008 Civic emphasizes styling and safety at a very competitive price. Strengths of this model include plenty of green choices with Hybrid and natural-gas GX, Standout styling, reputation for reliability., and safety features Located next to the foot bridge on Good Pasture Island Road, come see us at Kendall Toyota Used Car Center. Kendall Budget used car center is pleased to offer this 2006 Ford Five Hundred LTD. How to protect your purchase? CARFAX BuyBack Guarantee got you covered. You'll love the feel of AWD in this 2006 Ford Five Hundred. It provides a perfect balance of handling power and control in virtually every driving condition. Low, low mileage coupled with an exacting maintenance program make this vehicle a rare find. Driven by many, but adored by more, the Ford Five Hundred Limited is a perfect addition to any home. Located next to the foot bridge on Good Pasture Island Road, come see us at Kendall Budget Used Car Center. Kendall Budget used car center is pleased to offer this 2005 Honda Pilot. This vehicle is loaded with great features, plus it comes with the CARFAX BuyBack Guarantee. The Pilot EX-L with RES doesn't disappoint, and comes with all the quality and understated opulence buyers have come to expect from the respected Honda marque. A truly versatile SUV, this vehicle will please even the most discerning of buyers. Take home this 2005 Honda Pilot and enjoy the safety and added performance of AWD. With less than 153,000mi on this Honda Pilot, you'll appreciate the practically showroom newness of this vehicle. Located next to the foot bridge on Good Pasture Island Road, come see us at Kendall Budget Used Car Center. Kendall Budget used car center is pleased to offer this 2008 Toyota Avalon This vehicle is loaded with great features, plus it comes with the CARFAX BuyBack Guarantee. If you are looking for a vehicle with great styling, options and incredible fuel economy, look no further than this quality automobile. The look is unmistakably Toyota, the smooth contours and cutting-edge technology of this Toyota Avalon XL will definitely turn heads. More information about the 2008 Toyota Avalon: The 2008 Avalon is Toyota's largest, most luxurious sedan, with generous space for five adults, plus a very soft ride and quiet interior, to compete with large sedans like the Buick Lucerne and Ford Taurus. Plus, the Limited model functions as Toyota's flagship sedan, with some top-tech features that are otherwise found only on Lexus-brand vehicles. Strengths of this model include quiet interior, high-tech features (Limited)., expansive trunk, Smooth ride, and roomy interior for five Located next to the foot bridge on Good Pasture Island Road, come see us at Kendall Budget Used Car Center. Kendall Budget used car center is pleased to offer this 2005 GMC Yukon Your buying risks are reduced thanks to a CARFAX BuyBack Guarantee. Gone are the days of SUVs being the size of a tank and handling like one. This GMC Yukon is a perfect example of how SUVs have evolved into vehicles that are as refined as they are rugged. Tackle any terrain with this 4WD GMC Yukon SLE. Off the road or on the parkway, you'll drive with confidence no matter the weather conditions or landscape. This 2005 GMC Yukon has such low mileage it has been parked more than driven. Located next to the foot bridge on Good Pasture Island Road, come see us at Kendall Budget Used Car Center. Find quality used cars, trucks, and SUVs in Eugene, Oregon at Kendall Budget Sales. We are always updating our inventory of used cars in Eugene, so check back with us and browse our updated selection. Browse our large used car inventory here at Kendall Budget Sales. Come by our Eugene used car dealership once you’ve found a car that catches your eye. We are located at 345 Goodpasture Island Rd. Eugene, Oregon 97401, just a short drive away from Florence, Cottage Grove, and Sweet Home. Are you looking for something to pull your toy hauler out to the coast or haul your weekend to the mountains but don’t want to pay new-car prices? 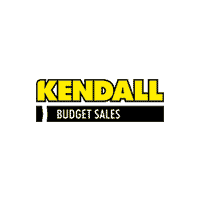 Shop for used trucks in Eugene with Kendall Budget Sales. We offer a variety of used trucks that includes 4×4 pickup trucks in many popular makes and models. Browse our inventory of used trucks because we’re sure to have something that fits your needs and budget. No matter if it’s a heavy-duty hauler you need to get the big jobs done or a midsize pickup truck for that little bit of extra space, we’re sure to have what you’re looking for. If you’re looking for a vehicle with more interior space, Kendall Budget Sales has a selection of used SUVs for sale in Eugene. 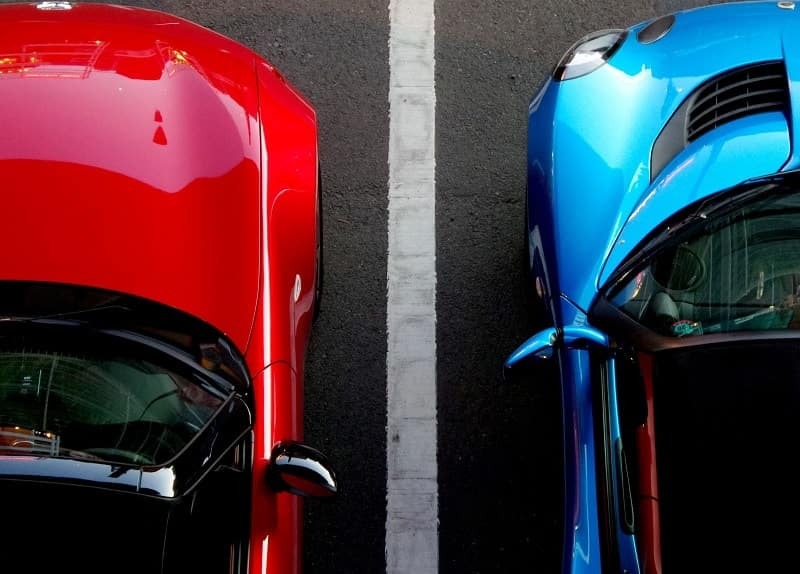 Not sure which used SUV is best for you? Our friendly sales team can help you search through our selection of compact SUVs, midsize SUVs, and full-size SUVs. No matter what you decide on, Kendall Budget Sales has the used SUV you’re looking for to get your family where they need to be when they need to be there. While you’re here, be sure to visit our Kendall Finance Center to find out how our financial experts can help you apply for a Eugene auto loan and find out the trade-in value of your current used car in Eugene. Feel free to contact us if you have any questions regarding any vehicle in our used car inventory.